The main rule of the Reverse Diet Solution is to eat your dinner for breakfast and your breakfast for dinner. 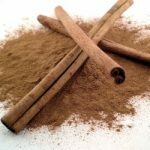 As I promised, in my previous post about the benefits of cinnamon, in this one, about Honey and Cinnamon for Weight Loss, I will share with you an interesting fact, I found a few days ago, about the almost miraculous weight loss effect of cinnamon. The South Beach Diet: The Delicious, Doctor-Designed, Foolproof Plan for Fast and Healthy Weight Loss is designed by Dr. Arthur Agatston, who is a cardiologist at the University of Miami, Florida. The Mediterranean Diet is not a specific diet plan but a collection of healthy eating diet plans followed by the people from the Mediterranean region. The Sonoma Diet is a new and better way of eating without starvation. The Sonoma Diet is a weight loss diet plan that allows you to eat the foods you enjoy. 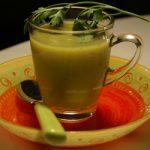 It combines healthy meal plans and recipes into an easy to follow and very delicious diet plan. Drain and wash lentils in cold water. Place lentils in a saucepan. A very popular weight loss program that uses meal replacements is WonderSlim diet plan. I read everything I could about this diet plan and I liked it very much. 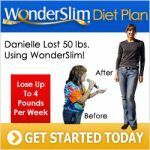 What I like most about the WonderSlim diet plan is that it offers 5 different weight loss starter-kits. Finally The Shangri-La Diet, by Seth Roberts PhD has just been published and will be available at Amazon on April 25, 2006.